Christmas is coming! I am so excited!!! 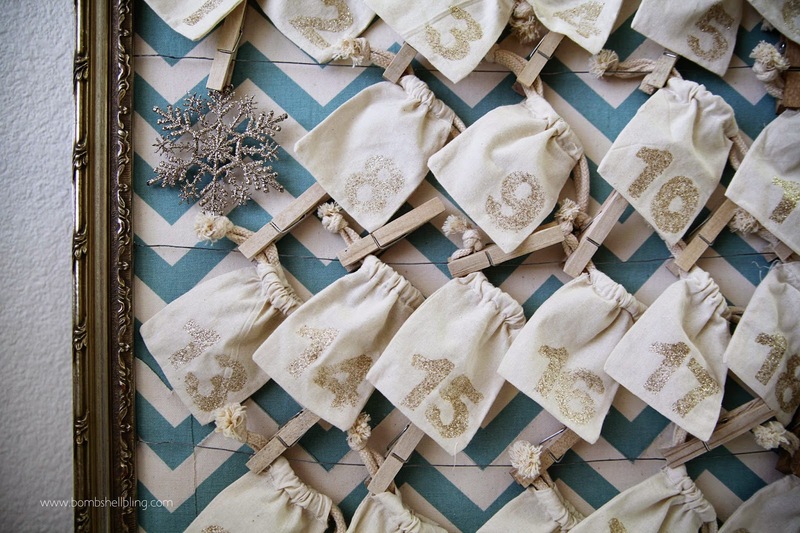 One of my favorite Christmas traditions is our advent calendar. First you want to cut out your stencil. I used Arial black font. I used my Cricut to cut out numbers 1 through 24. Next, I placed my stencil in the lower right hand corner of my bag and I stamped on my sparkle paint. I just love how the numbers shimmer! 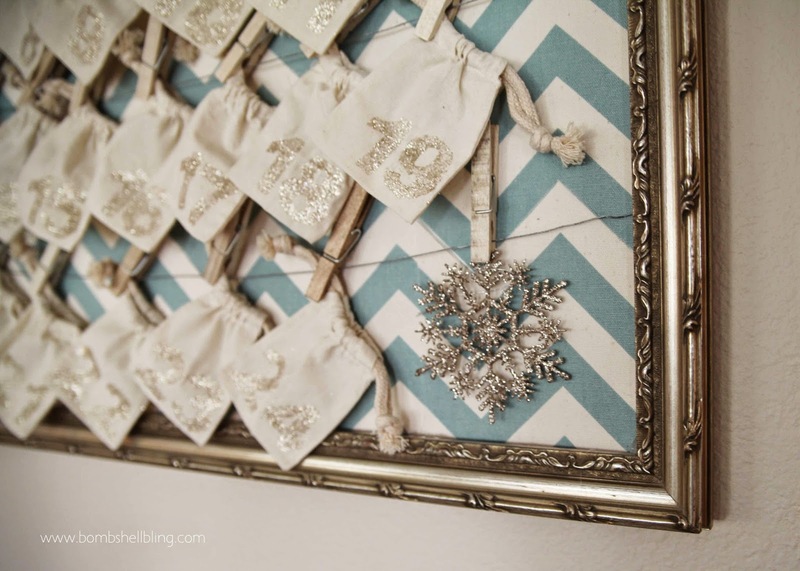 I hang my bags with clothes pins on wires that are inside a picture frame. It is just an old frame that I glued four wires across. Then I took a foam poster board and wrapped it in fabric and used that as the background. Its a frame that I have hanging up in my family room all year. It normally holds my instagram pictures. 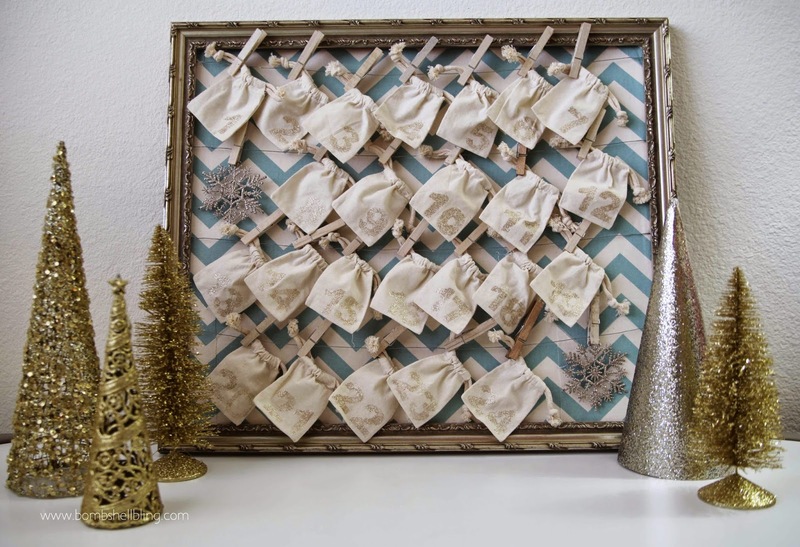 For the month of December this frame holds our activity advent calendar. Inside each bag is a little slip of paper. 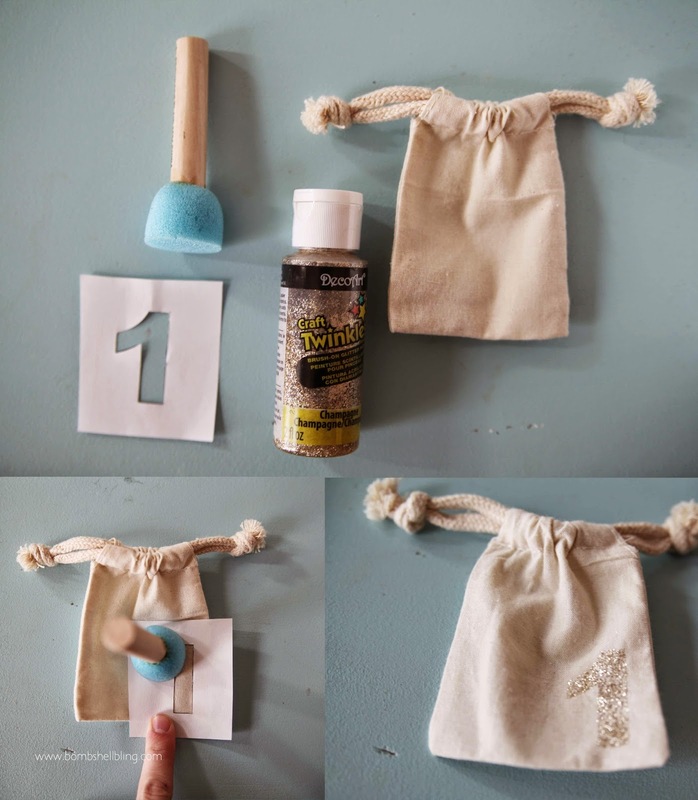 On that slip of paper is one activity for my kids and I to do together. I’m not one who is good at planning ahead. At the beginning of December I print off my list of activities. Then each night before I go to bed, I look over our schedule for the following day and then I pick an activity that will fit into our schedule. Some days we only have time to to eat a candy cane or drink some hot chocolate. While other days there is more time to decorate a gingerbread house or watch a Christmas movie. Since I printed my entire list at the beginning of the month, all I have to do each night is cut out the one activity that we will be doing the next day and then put it in the bag. Enjoy making memories this Christmas!!! This is beyond amazing! 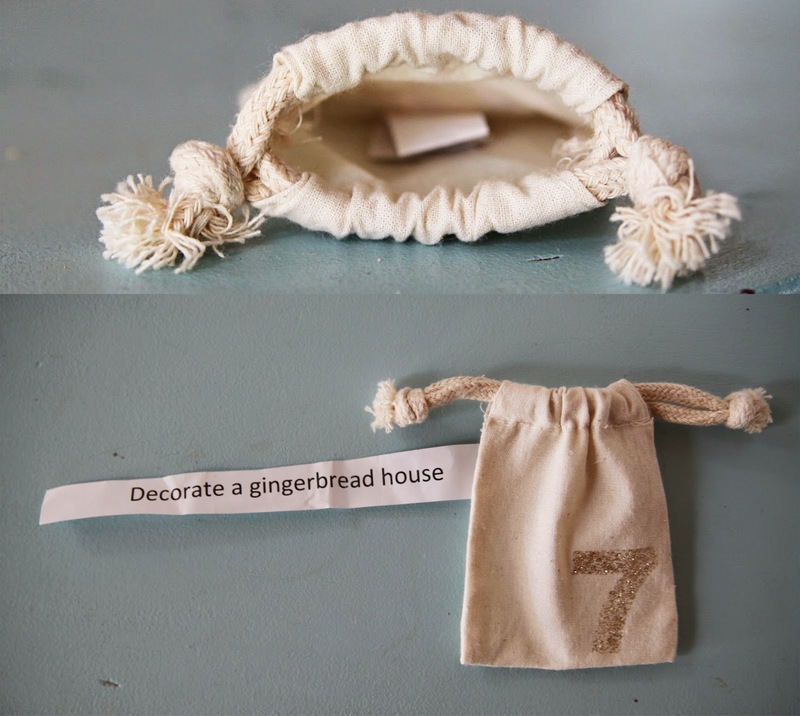 So clever, so cute and not even hard to make. I LOVE this beyond words. It looks great! 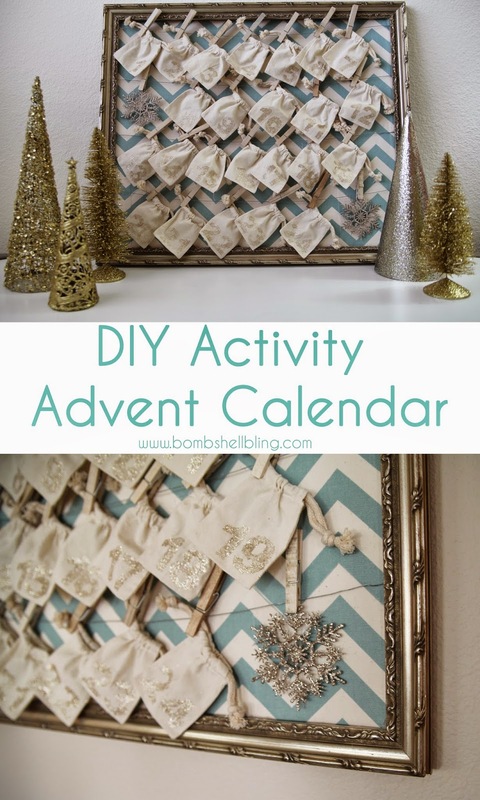 We do an activity calendar, too, and the planning ahead gets me as well…..the first year I had way too many overly ambitious ideas; I’ve toned it down since!